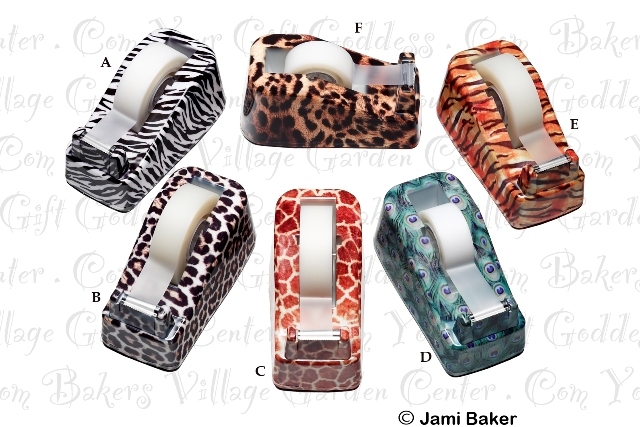 Tape anything in colorful style with our pretty animal print tape dispensers. Coordinate your desk with a matching set of pretty tools such as a letter opener, staple remover, stapler or tape measure. These tools were designed for the woman in mind; very hip and a great gift for any woman who likes to do work in her home.